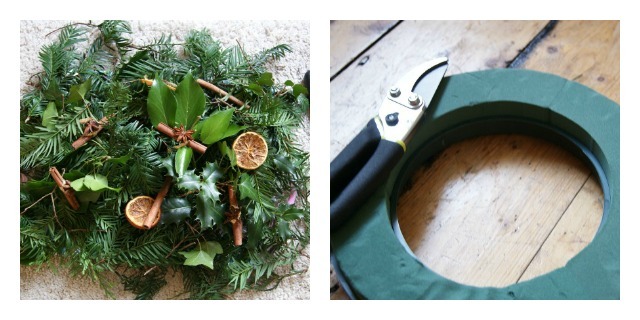 A couple of years ago I had an actual Christmas wreath making lesson from an actual professional wreath maker (read: florist). They are really easy to make and sooooo much cheaper than buying, it just takes a teeny bit of gathering and your door will be festive before you know it. First off, gather your equipment. 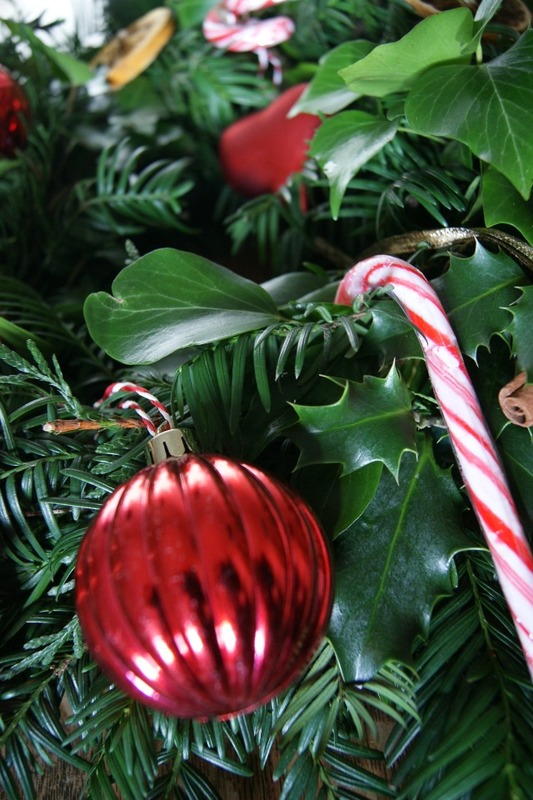 A polystyrene wreath (or posy pad) will allow you to water your wreath to keep it perky. This one was £4 from Hobbycraft. A pair of secateurs will also help deal with any tricky branches. Finally you need the fun part, the decorations. 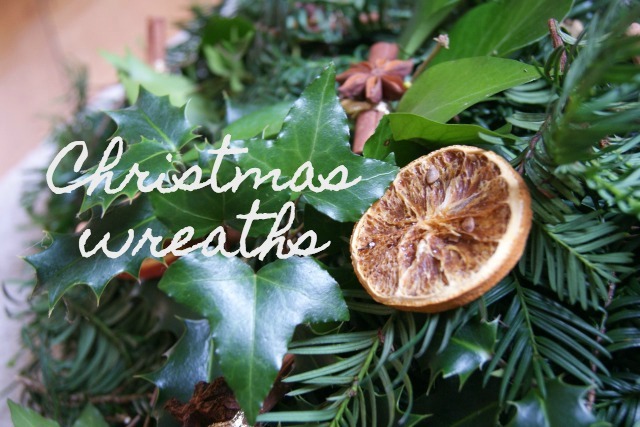 I gathered some greens on a walk and added in some cinnamon sticks, dried orange and candy canes. Next add your greenery to the wreath. Starting on the outside, add some foliage diagonally so that it lies smoothly all around the circle. 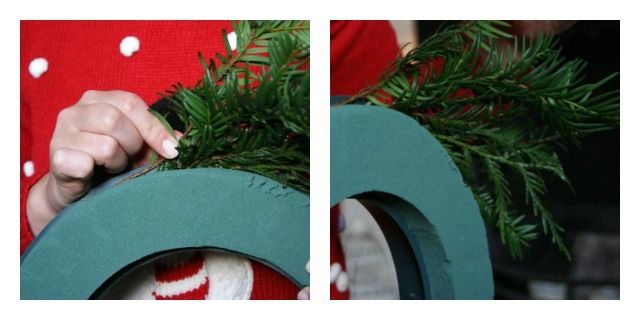 Repeat on the inside of the circle and then cover the front of the wreath in a similar way. This part takes all the effort to make sure that none of the wreath is showing. Finally, add the pretty parts! I created little hooks with the smaller branches I’d gathered to hang the oranges, cinnamon, candy canes and baubles from. Wrapping wire around them and pinning this in can also attach them sturdily. 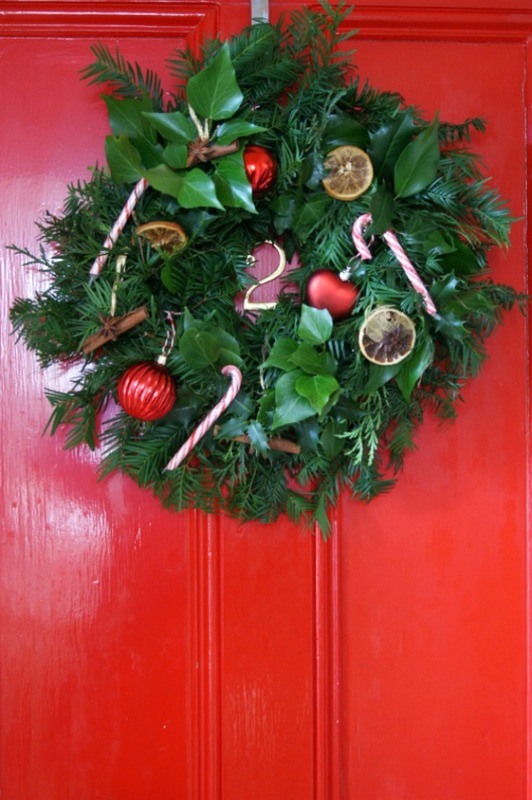 Give your wreath a little water and allow the water to be absorbed before hanging on your door. Then you’re done! As always, your comments are always appreciate, I LOVE to hear from you.